Not to be confused with Dunbar Island. The Dunbar Islands are a small group of islands lying off Varna Peninsula southwest of Williams Point, the northeast extremity of Livingston Island in the South Shetland Islands, Antarctica comprising the islands of Aspis, Balsha, Melyane, Pogledets and Zavala, and several minor islets and rocks. The area was visited by early 19th century sealers. 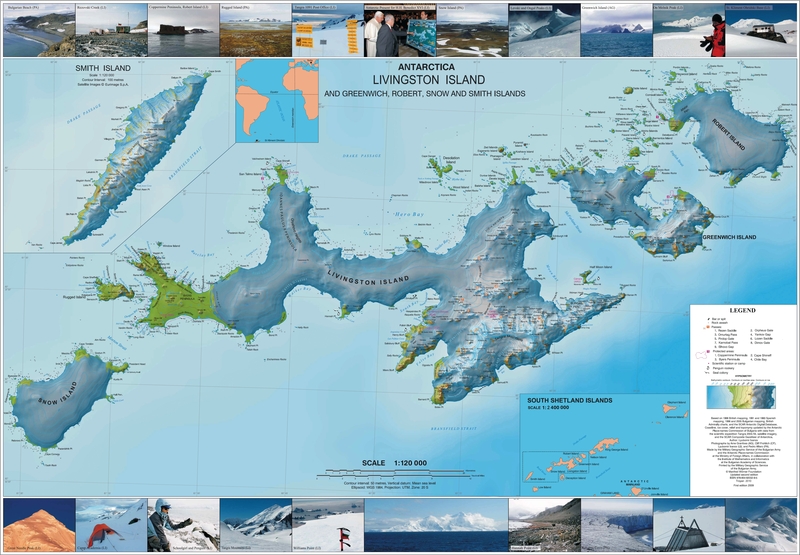 The islands are named after Captain Thomas Dunbar, Master of the American sealing schooner Free Gift which visited the South Shetland Islands in 1820-21. The midpoint of the group is located at 62°28′10″S 60°10′40″W﻿ / ﻿62.46944°S 60.17778°W﻿ / -62.46944; -60.17778 (British mapping in 1968, Spanish in 1991, and Bulgarian in 2005 and 2009). This page was last edited on 19 November 2018, at 19:08 (UTC).